How cold is it getting girlies?! 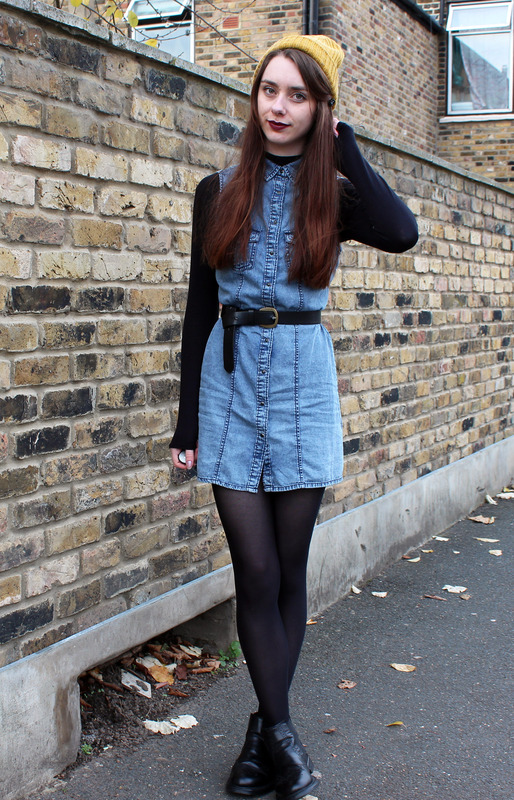 I layered up a denim dress, which I got for £8 in the New Look sale recently (bargain), because it's a little more of a summer dress. My oversized coat is an old season piece from the January sales, so I have not needed to buy a new coat this year - thanks past Chelsea. I have had a mini hiatus from blogging regularly as during my few days of work I visited the family back in Nottingham and got all festive instead. It was lots of fun but it gave me no time to blog! 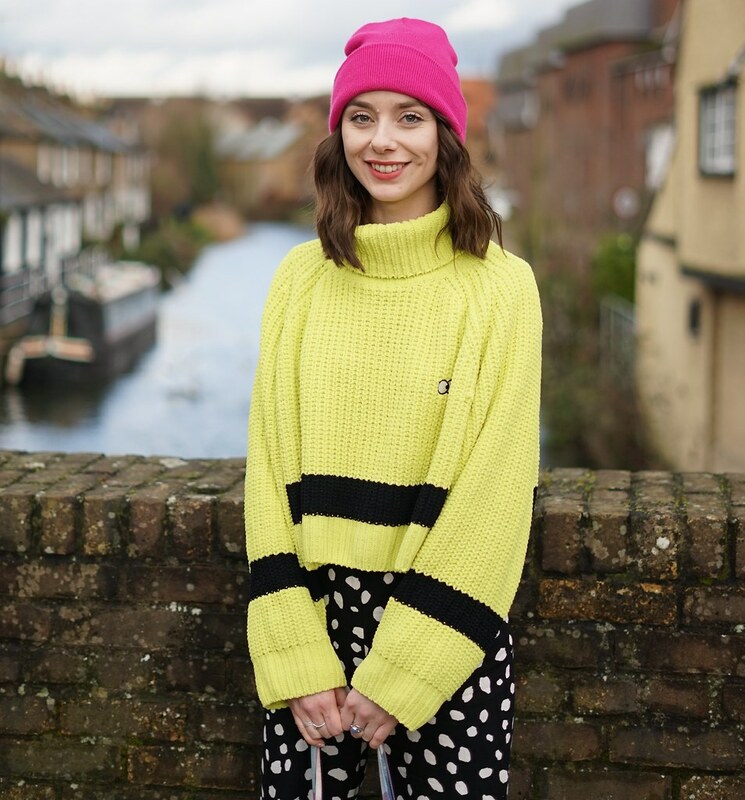 So this is an older outfit which I haven't got round to posting, I have since had my hair chopped and recoloured so I will share that with you in a post soon! The coat is so cool, love it! You have such a teeny waist, this dress looks uh-mazing on you! What a bargain indeed. I like your coat too! 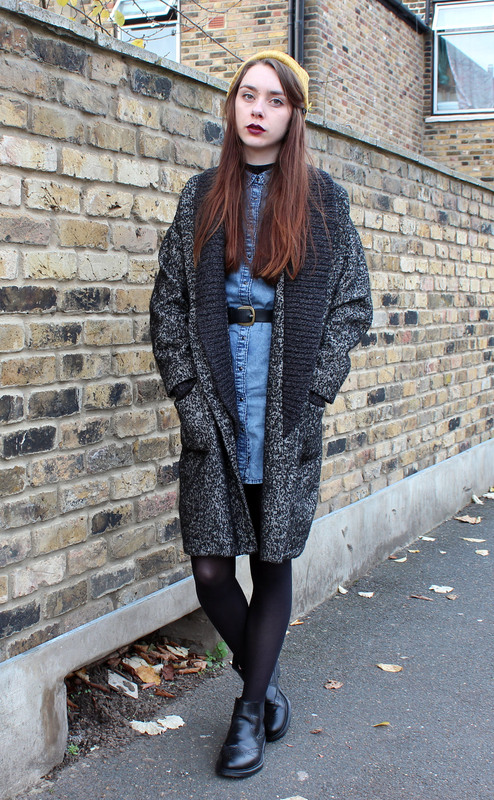 I LOVE how you've layered underneath the denim dress! You look amazing! You look lovely :D really nice belt!